Available in Silver, or Gold Plating! LED Strobe Bottle Baton Electronic Sparklerin the Industry! 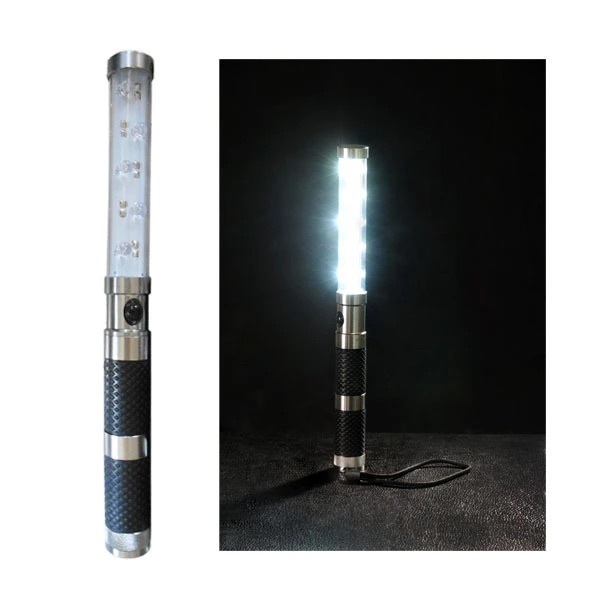 More "LED STROBE BATON" Videos on our Blog, check them out! 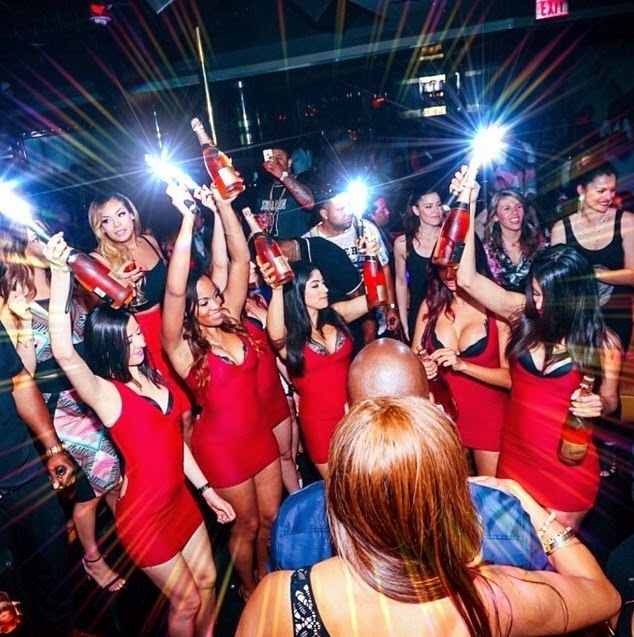 THE WORLDS BRIGHTEST, MOST DURABLE and MOST IMPRESSIVE LED STROBE BATON ELECTRONIC BOTTLE SERVICE WAND IN THE WORLD!!! "LED STROBE BATON" Electronic Bottle Service Sparkler alternative! The newest and most exciting electric electronic Sparkle and Flash attention grabber for your your VIP section and Bottle service delivery. The Nightclub L.E.D. STROBE BATON will always completely grab the attention of all of your guests and special clients. This alternative to the champagne sparkler has become very popular with Venues having difficulties using traditional sparklers. The Nightclub L.E.D. 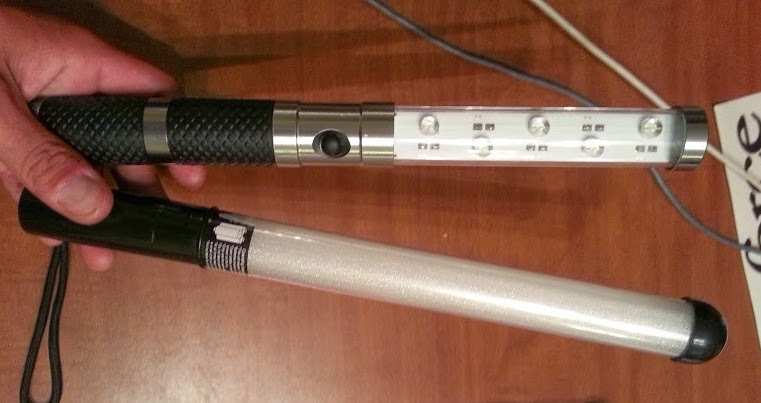 STROBE BATON is safe, slick looking, and reusable. Ithas 10 high powered LED lights that give the same effect as bottle sparklers. Our Nightclub L.E.D. STOBE BATON will surely have your customers mesmerized and wanting more. Your VIP bottle service girls and VIP Hosts will surely grab everyones attention and have alot of fun with this item. 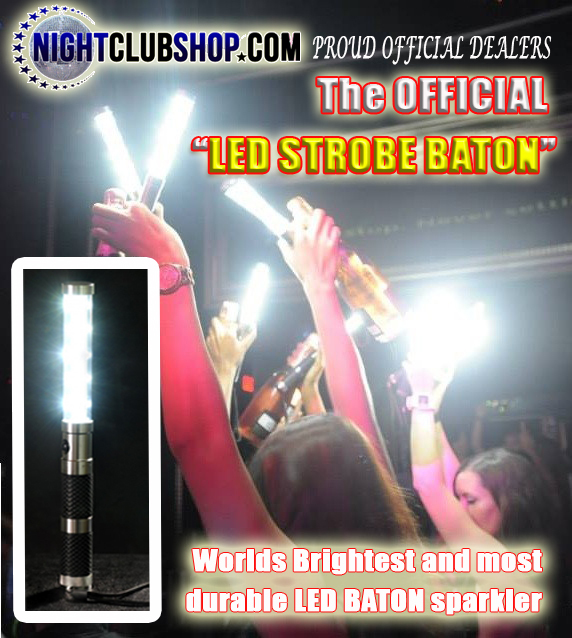 NIGHTCLUBSHOP.COM is a PROUD OFFICIAL "LED STROBE BATON" DEALER! IF ANY OTHER WEBSITE TRIES TO SELL YOU A FAKE/UNOFFICIAL LED STROBE BATON unit that looks like this Below.....Return it and charge back! There are several websites selling this piece of junk and calling it the LED STROBE. (BELOW) Another Fake Knock Off, Remember, the real "LED STROBE BATON"
for Electronic Bottle Service Delivery as a alternative to Traditional Champagne Sparklers. so you are in good hands when ordering this product from us. Our "LED STROBE BATONS" are individually and manually Checked before they ship out for Quality assurance and to prevent any defect or incorrectly working units. 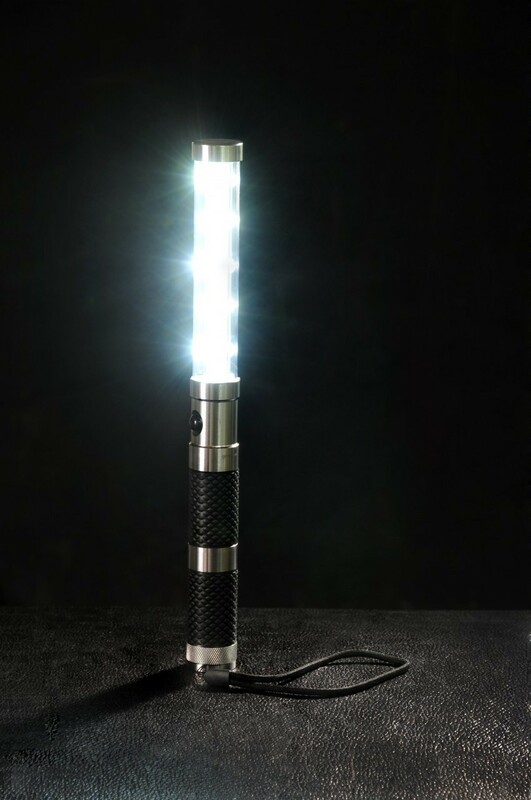 CHECK OUT OUR BLOG FOR MORE INFO on the LED STROBE BATON electronic Alternative Sparkler. Now available in Silver or Gold Plated Designs. Dont buy the cheap wannabe strobe batons, these people have the official LED STROBE BATONS that they use in Vegas, Brightest in the biz! Love these things! These lights work great, we use them in the nightclub!!! These are great for our club - the LED lights make the sparklers very bright and grab the attention of our club goers.